We are utilizing the Transas liquid cargo handling simulator. The simulator is designed to train and certify crew members of liquid cargo tankers, gas carriers and terminals, as well as other staff responsible for the safe cargo handling and the operation of auxiliary equipment. The primary goal is to be able to safely perform and monitor all cargo and ballast operations. The liquid cargo handling simulator replicates a cargo control room, allowing a comprehensive study of the tanker and terminal layout, including its machinery and systems, according to international standards and requirements. The ship models we are using provides following functionalities: general arrangement of the tanker and its systems, control of vessel ballast and cargo system, control of trim, stability and stress, prevention of oil pollution from the ship. Our Transas LCHS simulators are complying with international standards and regulations. Covering STCW 2010 requirements; vessel ballast system control, trim, stability and stress, prevention of oil pollution from the ship, general arrangement of the tanker and its systems, maintenance of tanker systems at the management level and proficiency in tanker technological operations. IMO model courses; IMO 2.06 “Oil Tanker Cargo and Ballast Handling Simulator”, IMO 1.01 “Tanker Familiarization”, IMO 1.02 “Specialized Training for Oil Tankers”, IMO 1.04 “Specialized Training for Chemical Tankers”, IMO 1.06 “Specialized Training for Liquefied Gas Tankers” are covered. 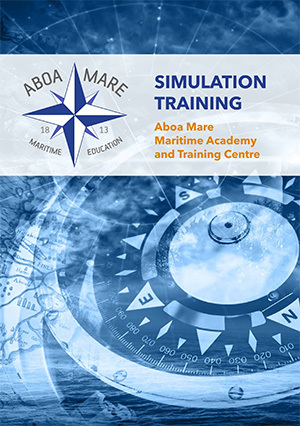 The simulator is fulfilling DNV 2.14 Standard “Maritime Simulator Systems” Requirements.